It’s official. After reports linked him with the movie, Danny Boyle has confirmed that he’s directing Bond 25, the upcoming entry in the immortal 007 franchise that will see Daniel Crag return as the super spy for the fifth time. It was clear from the beginning that EON wanted a proven, auteur director to helm the film, with the likes of Christopher Nolan and Dennis Villenueve being linked to the production in the past. And now, it sounds like they’ve lucked out with the Oscar-winning Boyle. While speaking to Metro US, the director revealed that he and his frequent collaborator John Hodge are currently penning the script for the film. This ties in with what we’ve heard before – that being that the pair are wiping the slate clean and ignoring the previous work done on the project by longtime Bond screenwriters Neal Purvis and Robert Wade. It sounds like they have good reason to do so, too, as the director has teased that they have a “great idea” that their screenplay will be built around. This is intriguing to hear as, if we’re being totally honest, the Bond franchise isn’t usually typified by its “great ideas.” It’s more commonly known for its brawn than its brains. However, it looks like Boyle will take the secret agent’s adventures in a more high concept direction. That’s not that surprising for a filmmaker who’s shown a lot of imagination in films as diverse as Trainspotting and 28 Days Later. Of course, Boyle hasn’t made a big budget action flick just yet, but neither had Sam Mendes – and he turned in two of the most successful Bond movies ever in 2012’s Skyfall and 2015’s Spectre. 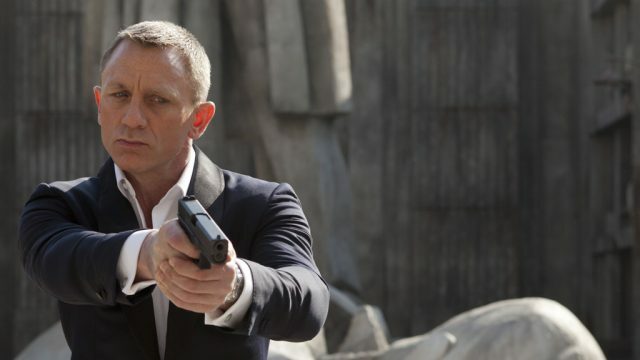 Boyle already has the upper hand on his predecessor, too, as he previously directed Daniel Craig as 007 as part of the opening ceremony for the 2012 London Olympics. You might remember that it saw the secret agent skydiving out of a helicopter with the Queen. Bond 25 is penciled in to arrive in theaters on November 8th, 2019. Now that a director is attached and the script is in the works, more details should start to eke out before filming begins later this year, so be sure to stay tuned.